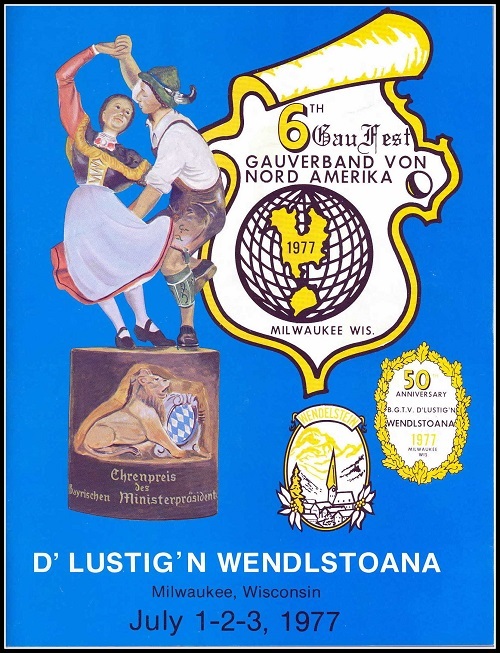 D'Lustig'n Wendlstoana Milwaukee was celebrating its 50th anniversary in 1977. Gaufest First: Practice rooms for the Vereine participating in Preisplatteln. Gaufest First: Dance workshops by the 1. and 2. Gauvorplattler. 26 Vereine participated in Preisplatteln. 44 Vereine, included several from Bayern, were represented at the Gaufest.